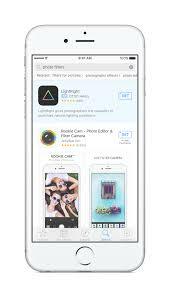 Apple’s Search Ads business could be set to generate more than $500m in revenue this and then make four times that by 2020. According to a note from Bernstein analyst Toni Sacconaghi, seen by CNBC, Search Ad revenue for Apple could approach $2bn by 2020 – and that’s a “conservative” estimate. With this development, it’s likely that Apple will meet or exceed its goal of doubling its Services revenue by the end of 2020 to $49bn. 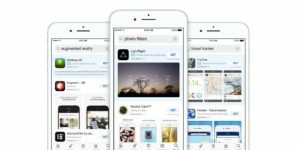 Sacconaghi says that Apple is most likely to grow its Search Ad business by expanding the number of markets where the ads are offered and by offering more ad spots in general. Different to search ads on Google and Amazon, Apple’s ads are currently limited to one ad on the first page of results, meaning it has room to offer more ad slots in the future. In addition, Apple does not yet offer Search Adds in China, which is an area where there is a big opportunity for growth. Should Apple achieve these revenue predictions, says Sacconaghi, its Search Ad business would be about the same size as Apple Music was last year. The tech giant will report its fourth-quarter earnings for the fiscal year on November 1.